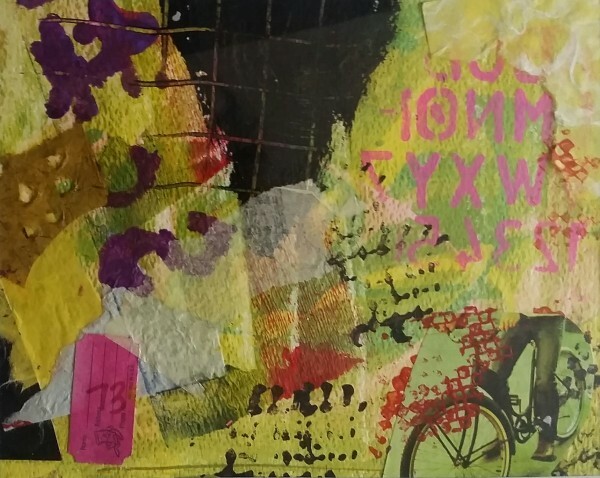 This entry was posted in $ale, abstract, cityscapes, collage, engage tour classes, gluttonous self-gratification, hint of something, mixed media, paintings, printmaking, solo exhibitions, visual arts center and tagged $100, 8"x10", acrylic, alphabet, available, bicycle, black, brown, collage, green, letters, mixed media, paper, pink, print, purple, red, text, tickeet, yellow. Bookmark the permalink. Both comments and trackbacks are currently closed.